Big History Teacher, California, U.S.A.
One of the most exciting aspects of teaching Big History is sharing the awesome narrative of the course with students. As we work our way through the eight thresholds and various themes of the course, the greater story of Big History becomes clear and students begin to view the study of history with a new perspective. 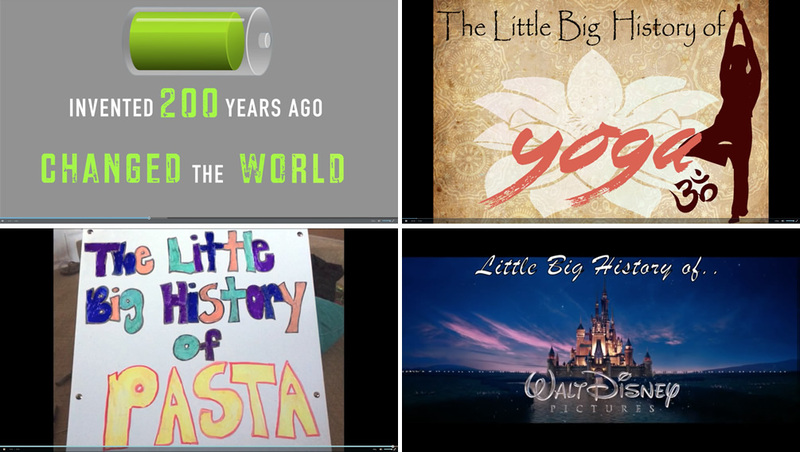 Throughout the year, I challenge students to demonstrate their knowledge of the Big History narrative in a variety of ways. Students write Investigation responses, conduct debates, give presentations, design animations and infographics, and create original films. In each of these activities, students have the opportunity to be creative and share their understanding of the story of Big History. All this work leads up to students playing the role of storyteller in the culminating assessment of the course, the Little Big History (LBH) project. For this project, students choose a topic—a commodity, a living thing, an activity, or a place—and trace the history of the topic using the lenses of the BHP thresholds and themes. Students are challenged to make connections between their topic and at least three different academic disciplines, and specifically focus on connections to their studies in world history. They’re required to discuss the significance of their topic in the world today and make predictions about the future of their topic. In the end, the LBH project gives students the opportunity to tell an exciting story about a topic they’ve chosen, and to share their knowledge with their classmates. 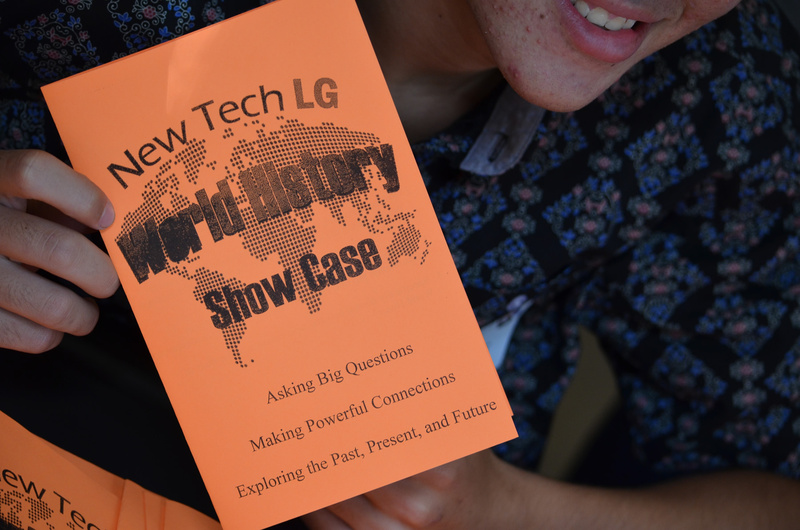 Last year, our students decided that they wanted to share their stories and the Big History narrative beyond the classroom by putting on a community showcase event at our high school. They had worked hard for several weeks to research, write, and create their LBH projects so they were eager to organize an event to show off their work. As the classes began to brainstorm ideas and plan for the showcase, it became clear that they were invested in getting every student involved and making the event memorable. After a few days, we had a plan in place. We then organized teams of students to be responsible for the different tasks we would need to complete in order to make our showcase a success. While the students had doubts about whether they would have everything ready in time, in the end it all came together smoothly. They did an amazing job hosting the event and an even more amazing job sharing their outstanding projects. The response from the community was overwhelmingly positive and the students loved getting recognition for their work. Although planning, organizing, and hosting the showcase took a great deal of effort, it was worth it. The event gave students the chance to share their excitement about the course and their projects with a larger audience, and even inspire others to think critically about the study of Big History. Reserve a space on your campus where students can easily share their projects with the audience. Be sure to set aside enough time for students to practice their presentations before the event. The week before the event, our students presented their projects to a panel of parents and members of the community and received feedback on how they might improve. Students then had time to make final adjustments in preparation for the event and were able to feel confident they were sharing their best work. Work with your students to plan an event that is original and meaningful. 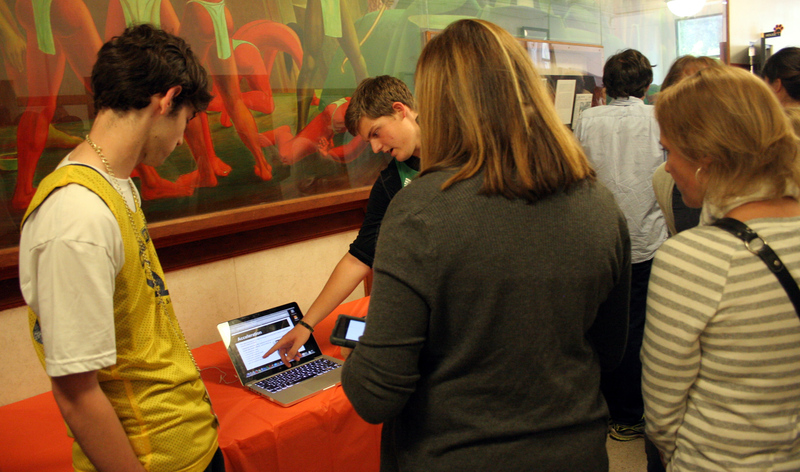 The great thing about our showcase was that it was organized and run by the students. In addition to having students present their projects during the event, we also enlisted students with different talents to promote and document it. We had a team of students skilled in graphic design create a logo, flyer, and program. Other students organized a photography and film crew to document the showcase. Having students contribute their unique talents to the event was a great way to get everyone invested and involved in making it memorable. Have the students brainstorm creative ways to advertise the event at school and in the community. Our students posted flyers on campus and spread the word at our downtown farmers market. Encourage your students to invite their teachers and friends in other grades. It was great for our students to hear how impressed people were with the event and how much they learned from the presentations. 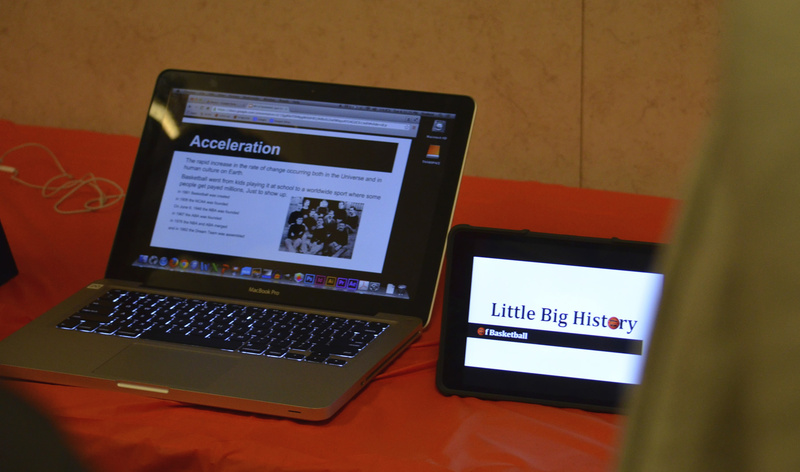 Hosting a showcase can be a great way to promote the study of Big History at your school. We invited the incoming freshman class to our event so that future students might be inspired to study Big History. At the end of the event, our students challenged the younger members of the audience to find their own ways to be creative and encouraged them never to stop asking the big questions.